Putting together a kitchen is no easy task. The kitchen is probably the most complex part of the home, as it brings together electrical, gas, water, and other elements into one space. Waste management, cabinet styles, tiles, and lighting all need to be accounted for in a professional kitchen design. 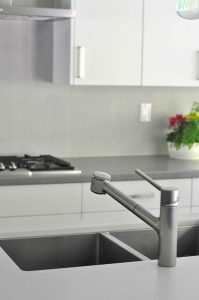 At Coordinated Kitchen and Bath we know each kitchen is unique, shaped by existing concrete or support walls, studs, outlets, building codes, bylaws, engineering, and personal needs. Furthermore, unless your home is a single family house, a kitchen renovation can involve strata regulations. With all of these concerns, it is of little surprise that most home owners undertaking a kitchen renovation will use the services of a professional kitchen renovation specialist. At Coordinated we have everything in our showroom to help you make a decision and move forward with your kitchen renovation project. Our showroom includes custom cabinets, countertops, tiles, and state of the art Japanese and European fixtures. 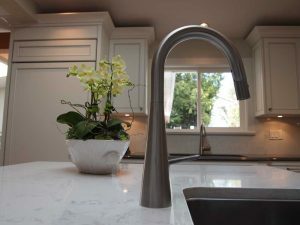 You can visit our showroom at 123 East 1st street, check out our website at www.coordinatedkitchens.com, or call us at 604.985.9128. Our team of experienced designers, project managers, and contractors are ready to manage your project from start to finish.